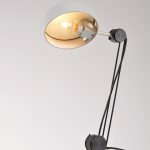 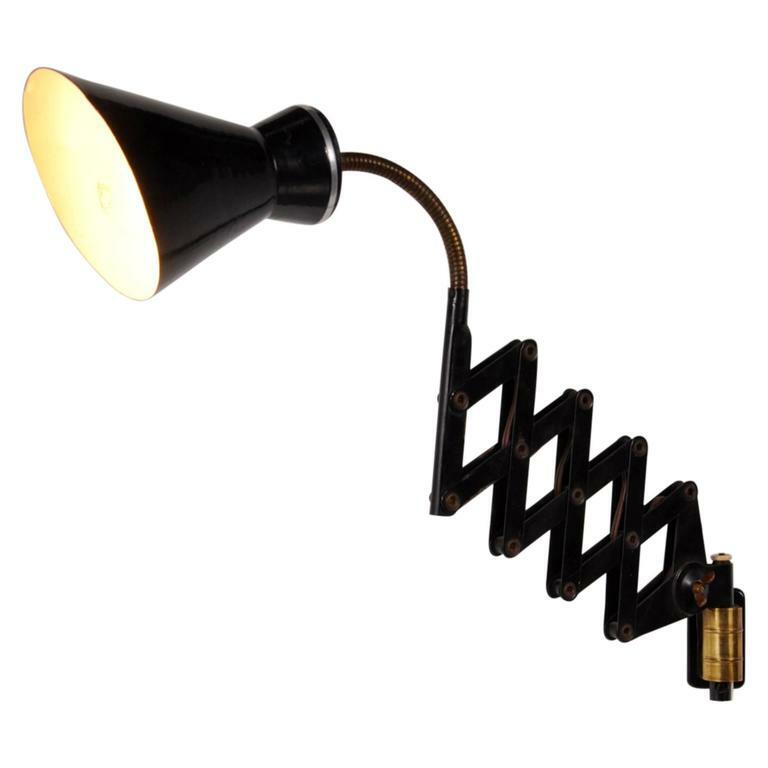 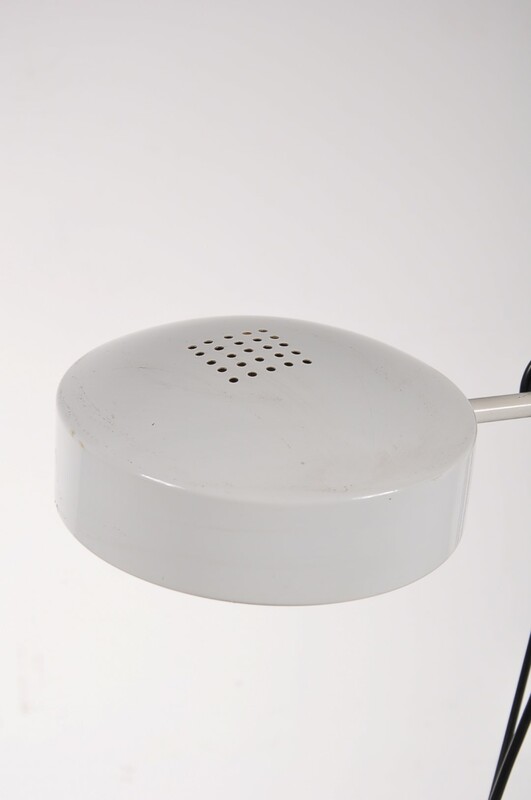 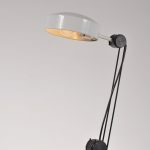 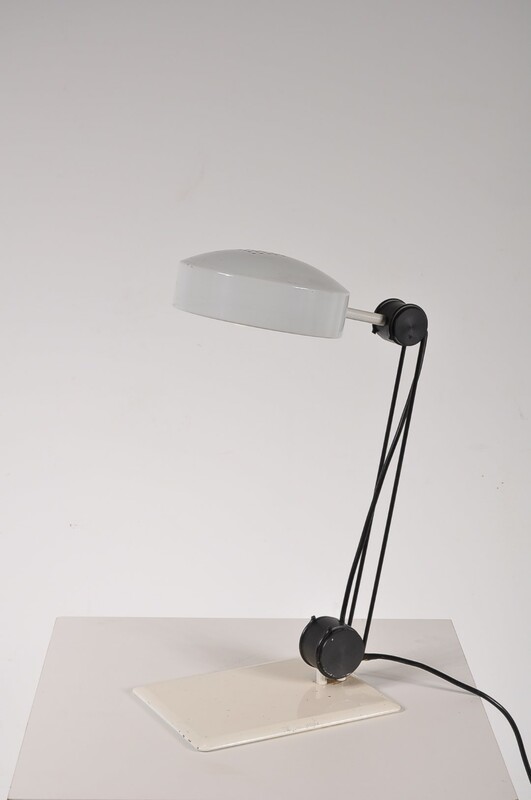 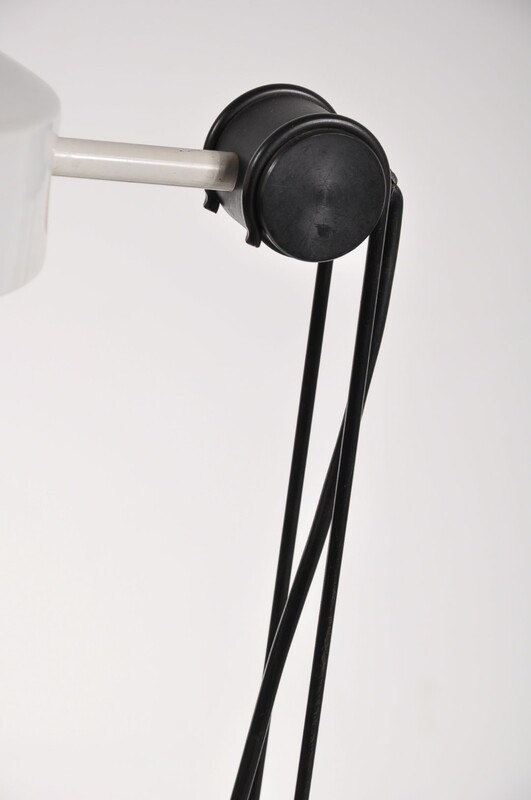 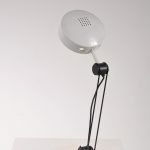 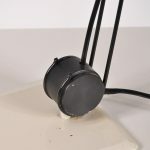 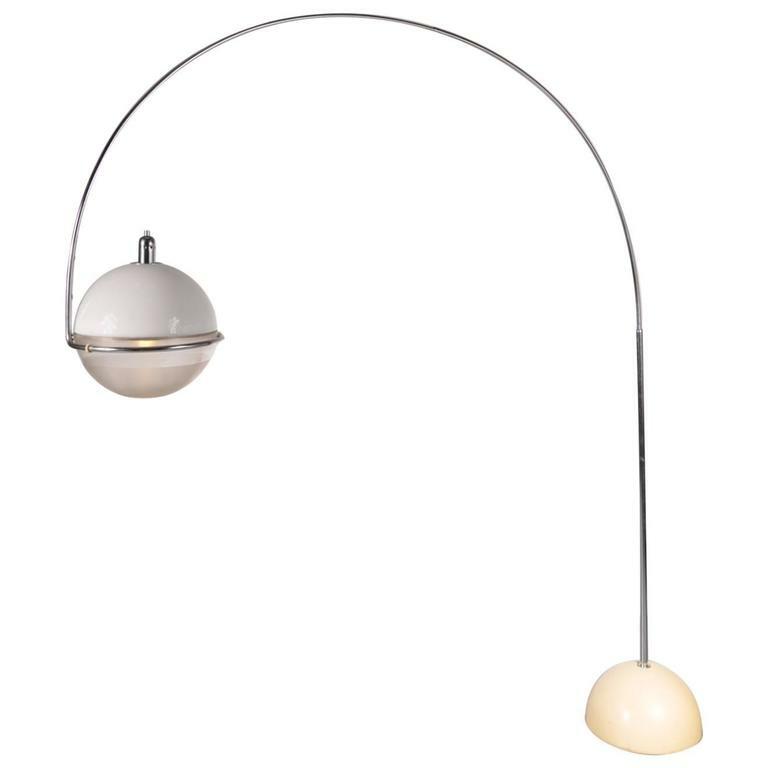 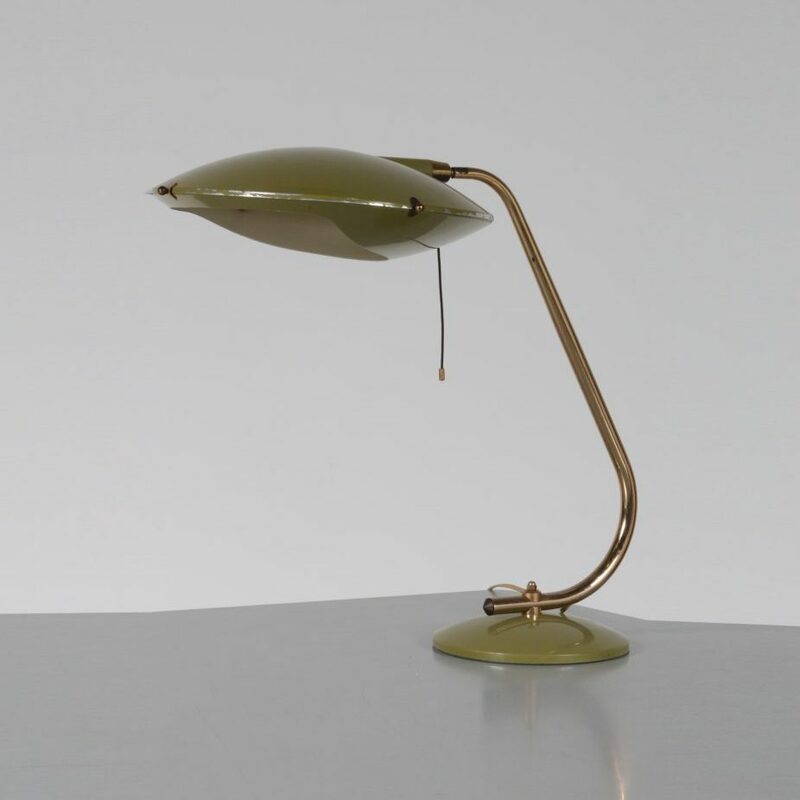 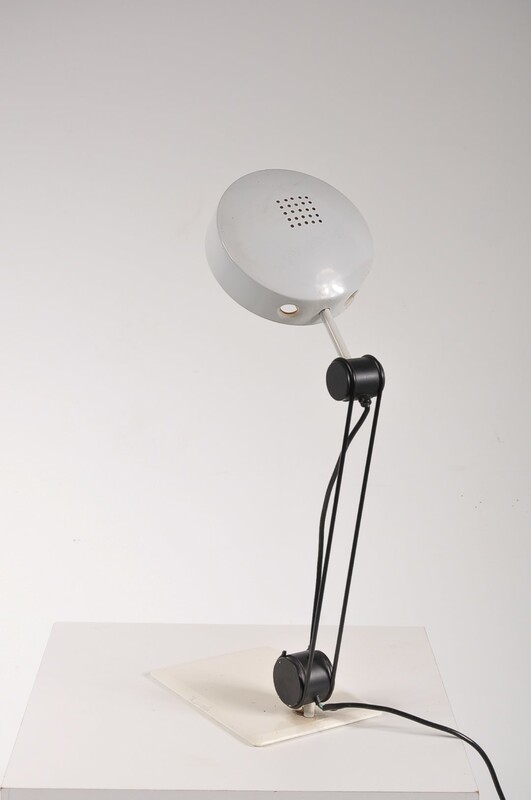 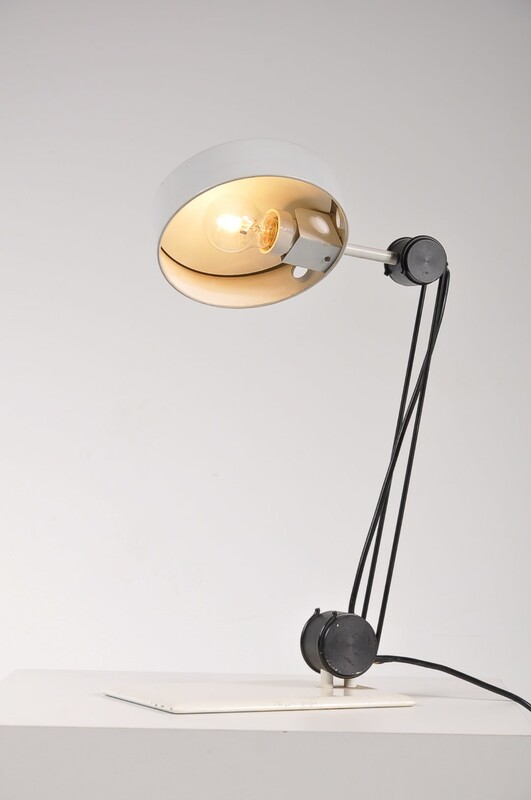 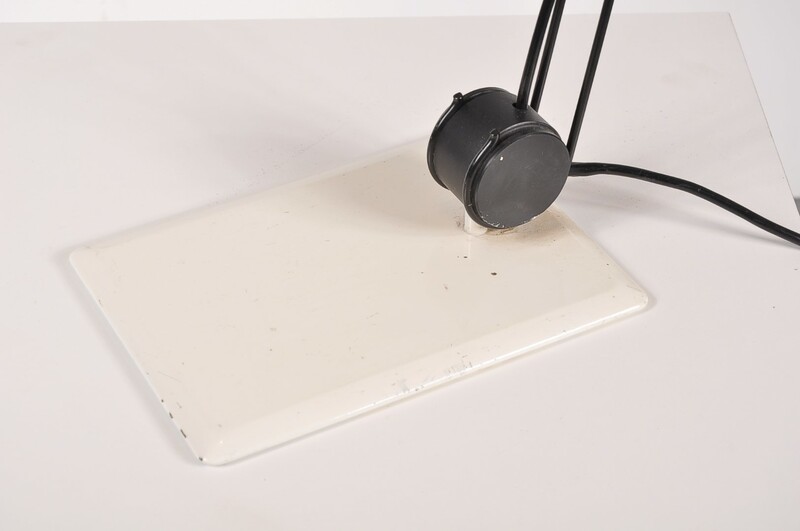 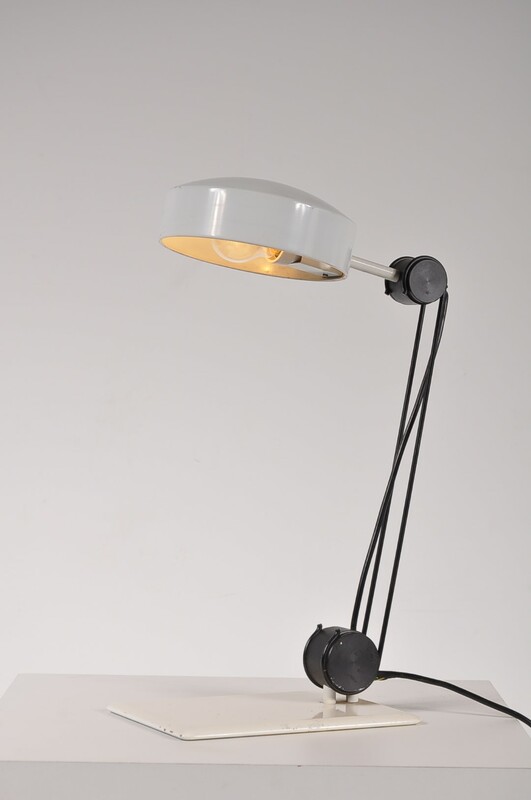 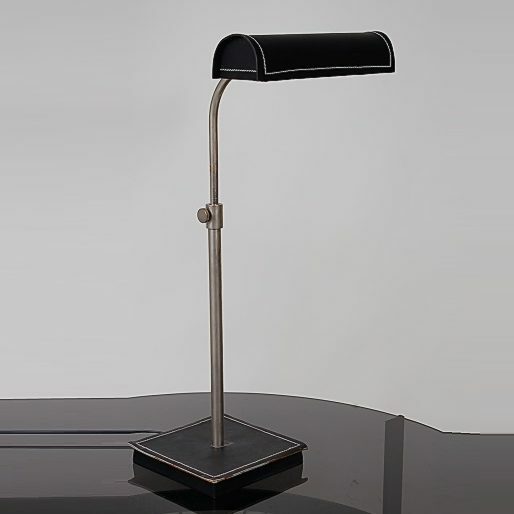 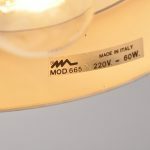 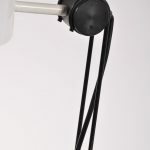 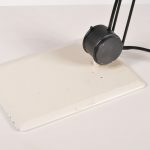 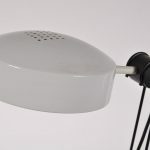 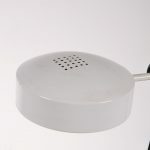 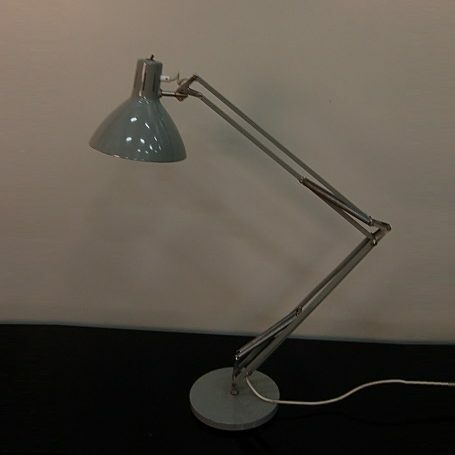 This Italian desk lamp is made of high quality black and white metal. 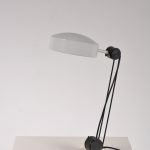 It’s structure is quite unique, using different shapes and an open armature that reveals the mechanism of the piece. 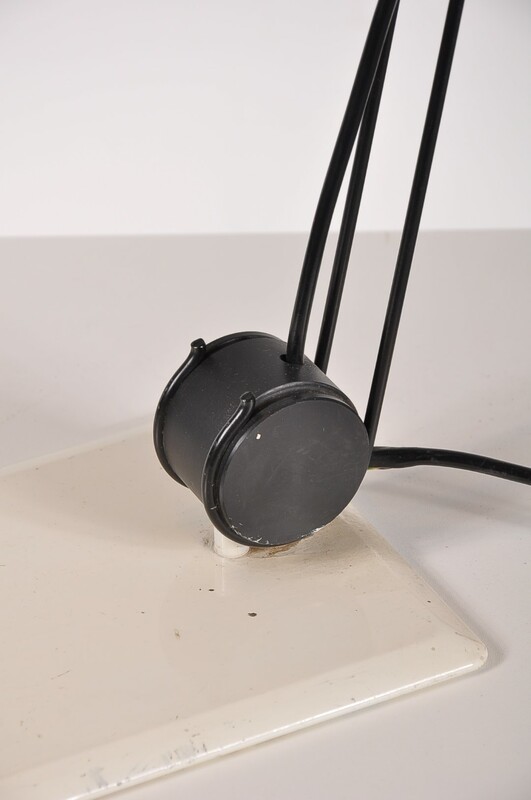 The foot is a rectangular shaped metal plate. 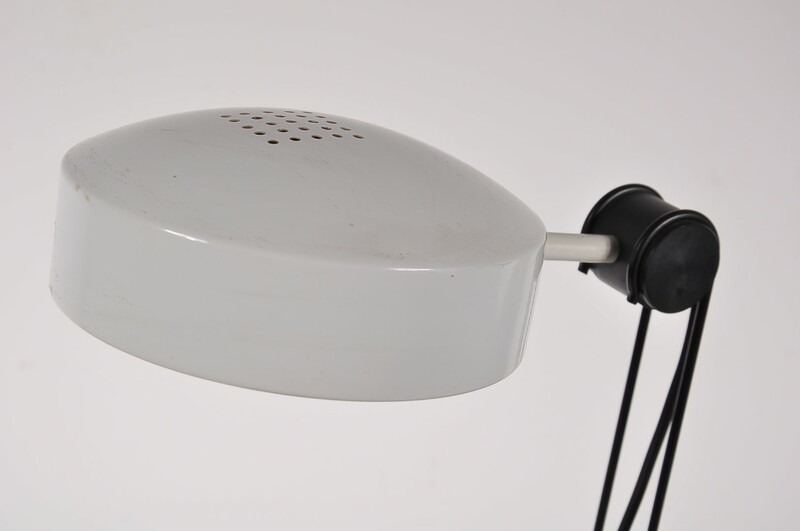 It has a round and adjustable hood. 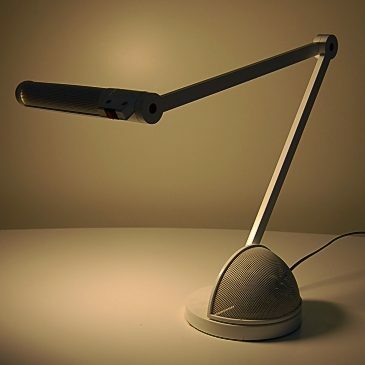 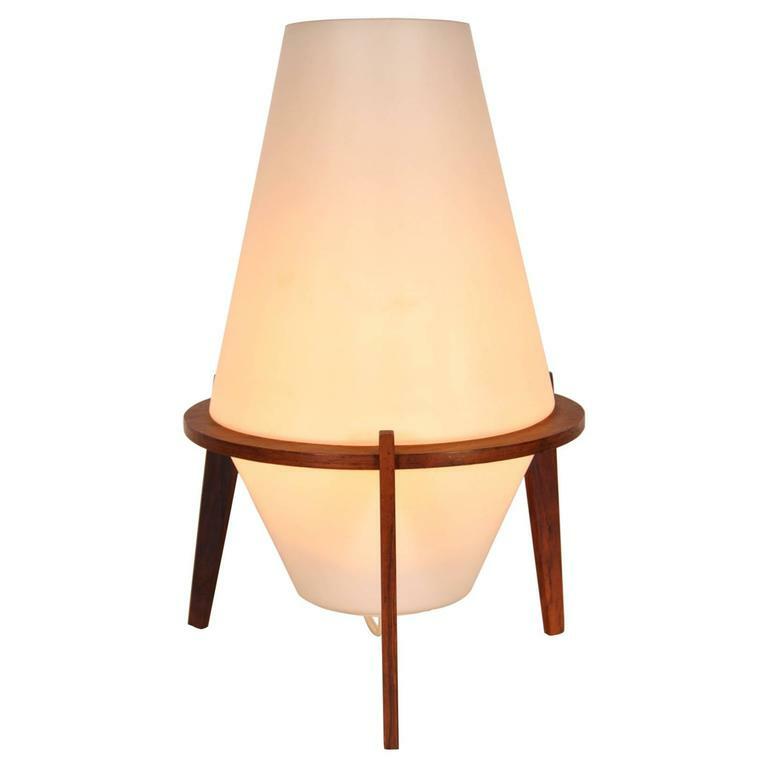 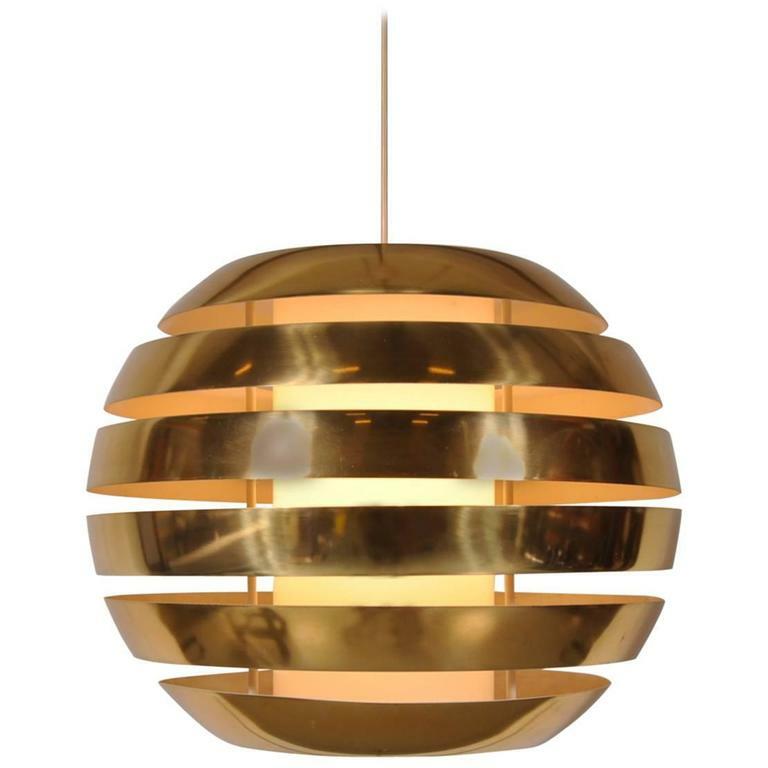 This eye-catching lamp would be a very nice contribution to your office space! 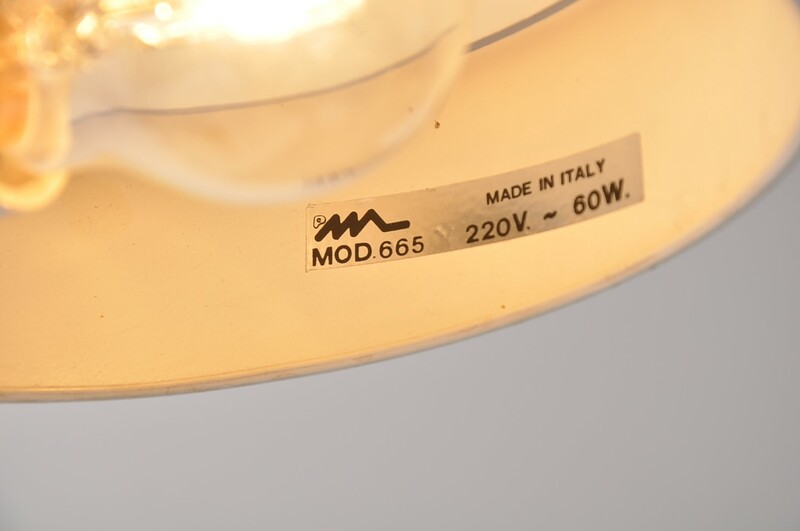 It is labeled in the hood.